In 2015, three friends — tech entrepreneur Anthony Miller and two actuaries Simon Nicholson and Shaun Dippnall — decided to team up and start insurance startup Simply Financial Services. “At a cross-road in our professional lives, we were all looking for a new challenge – something that would both make money and do good,” says Miller (pictured right), who is also the company’s CEO. 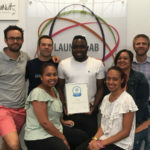 “There is a dire need for simple, convenient, well-priced life insurance in South Africa and we believed we could use our combined strengths – tech startups, life insurance experience and human-centred design — to build a business that could cut through the noise and deliver super simple life insurance products at disruptively low prices,” he adds. Three years on, and after soft-launching its first products in 2016, Simply has sold 5920 policies worth over R3-billion in cover. With an average of 2.3 benefits per policy, he explains, most of its clients are generally buying combos. In addition, the startup boasts it has the first online group life offering in South Africa. 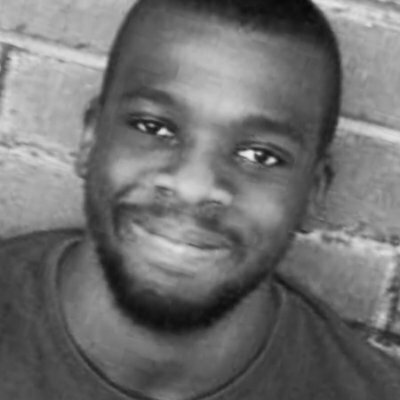 Since launch, the Cape Town-based company has raised R40-million in capital. However, the startup was largely self-funded, before securing investment in 2016 from SA insurance company Lomhold and two other private investors. Simply is largely dependent on tech. Miller says although the company sells life insurance products, it is “fundamentally a product design and digital technology business”. The startup’s fastest online purchase was completed in under three minutes — from start to finish. More than 60% of its online sales are completed on mobile devices. He says the company simplifies and speeds up the process of buying insurance by using “the latest technology and intelligent human-centred design”. He adds that by doing so, the startup has built a solution that gives accurate real-time quotes online, enabling potential clients to immediately choose the benefits they want and complete the process — all online. Simply’s further use of tech to gather information it needs from clients, the CEO says, “takes away a lot of the hassle that would ordinarily land on the employer and or the broker”. “We have strong digital marketing, product design, data science and software development skills. Our product design and digital marketing is grounded in behavioural science and ongoing user testing,” he explains. “Digital marketing is multi-channel in approach and extends from advertising creative and channel mix to landing pages and conversion optimisation. Product design works hand-in-glove with marketing — it is user-led and extends from upfront needs analysis and prototyping to ongoing user testing and User Experience (UX) improvement,” he adds. He says Simply’s tech stack is “very much Google-based” and that the startup also makes extensive use of Facebook tools. “Our developers are Clojure nuts and most of our systems are named after characters from the Asterix cartoons. We try to automate everything we can, from lead generation to sale so we can measure and manage all of our key perfomance indicators (KPIs). Our motto is ‘all of the data all of the time’,” he says. Simply works with Old Mutual Alternative Risk Transfer (OMART), with which it has cell captive arrangement. “Under this arrangement, we essentially develop and sell products on the OMART insurance license. OMART underwrites Simply products, which means they are the insurer with whom our clients are contracted, and they are responsible for paying claims,” he says. The insurtech also works in partnership with Reinsurance Group of America (RGA), which acts as Simply’s reinsurers. “So, while claims are paid by OMART, part of the premium is passed on to RGA, and they then cover a significant portion of the cost of claims when they arise,” he explains. Simply finds itself in an industry that seemingly has new entrants every month, but it’s aiming to take a market share from bigger established companies. “Startup businesses are hard work, especially when you are competing with big gorillas,” he said. He said although the company has “great products and a unique value proposition ” — its simplicity, availability online and value — it is hard for the startup to compete with the marketing budgets of some of its competitors. “We’ve found some customers are cautious about signing up with a little-known brand,” he adds, saying the startup’s partnership with OMART is “very helpful here”. “As part of the Old Mutual Group, they are very secure, and we can reassure our customers that even though we are a new player, we have a very strong organisation behind us,” he adds. The other challenge that the startup has faced is collecting premiums, a problem is “an industry-wide issue”. “It’s struck home to us just how stretched many South Africans are. They can see the value in what we are offering, and are happy to sign up, but oftentimes there is no money in their bank account when we come to collect,” he said. “We have put in place numerous measures to improve the collection experience, but it’s an ongoing battle,” he added. 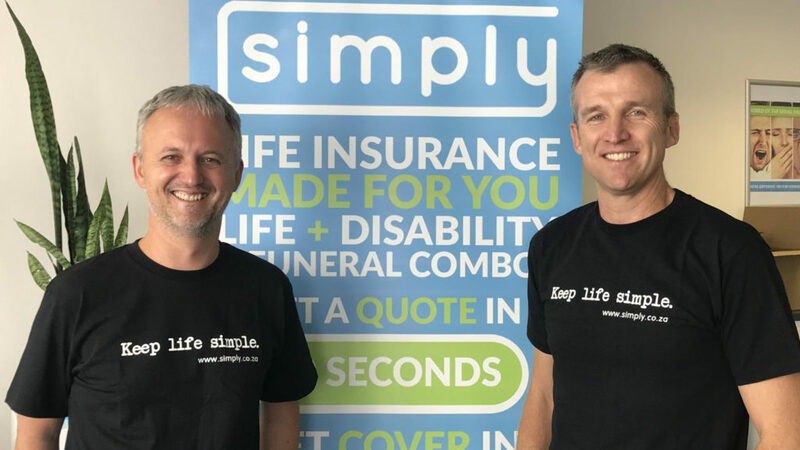 Last year, Simply launched the Group Cover product, an online group life insurance product aimed at small to medium enterprises (SMEs) — which it claims businesses can get in under 20 minutes. The product offers employers customisable combinations of life, disability and family funeral benefits. “We think our online product is a first for the local market. It provides benefits of up to R2-million life and disability cover and up to R50 000 family funeral cover, which includes spouse and up to five children,” he said. “Our partners, from our investors to OMART and RGA, are very excited about the product. It has the potential to open up a whole new market and cover lots of people who otherwise would not be served,” he noted. He says brokers are “loathe to get quotes for small companies” as lots of work is required and in cases where companies buy cover, the income the broker gets is low. “As a result, there is a long tail of SMEs out there that haven’t been served in the traditional group life space. This is the market we’re targeting with our product. We believe SME’s provide a great opportunity to do well while doing good,” concluded Miller.